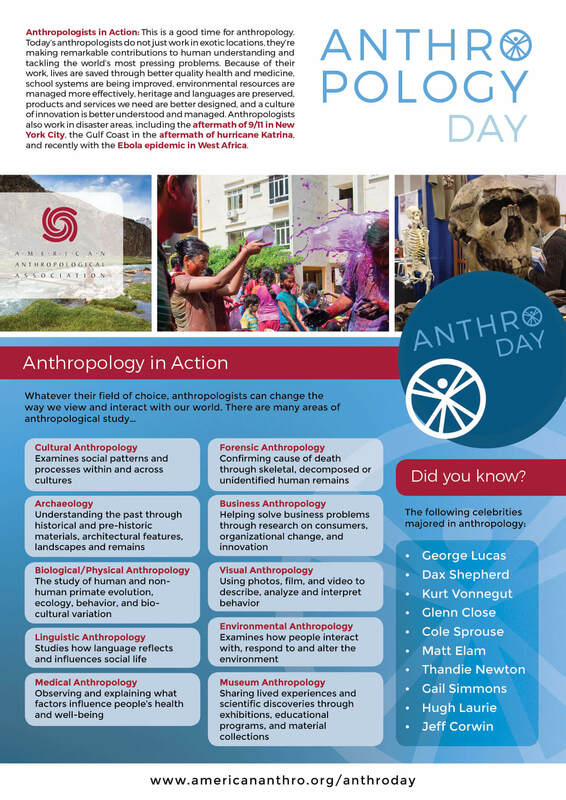 Anthropology Day is a day for anthropologists to celebrate our discipline while sharing it with the world around us. Anthropologists are innovators and creative thinkers who contribute to every sector of society. Help us celebrate what anthropology is and what it can achieve by stopping by the Department of Anthropology’s new offices on the second floor of Corbett Family Hall. Visit the main office in 296 Corbett to learn about the major, minor and graduate program, ask questions about hundreds of anthropological opportunities, and pick up some free anthro-swag!